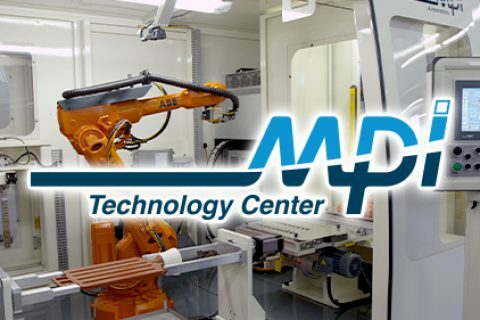 The MPI Technology Center has been called a hub of innovation, ingenuity, and problem solving. 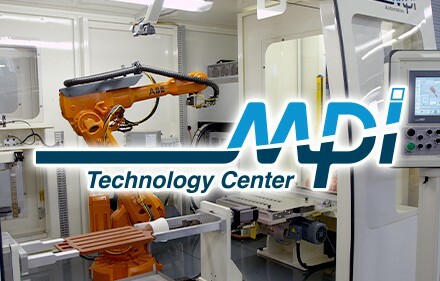 That was evident when MPI invited wax vendors and a customer to the Technology Center to collaborate on a solution for a problem that had been plaguing the customer for an extended period of time. MPI’s client, Lamothermic Precision Investment Casting Corp., has for many years used a high-quality wax for all of its pattern work. The wax was originally formulated for thin walled and aerospace parts and as such carries a premium price. Lamothermic selected this wax to overcome shell cracking problems and the expense associated with shell repairs. For Lamothermic, the choice was a great decision and has netted a lower overall cost with little to no shell cracking. However, as many foundries have experienced, Lamothermic is continually pushed by its customers to reduce the end cost of products. It was determined that if a less expensive wax could be used, significant savings could be achieved. Lamothermic was very concerned about changing waxes and did not want to experience the previous issues associated with shell cracking, which would again drive the cost back up. Lamothermic also did not have extra capacity to allow the wax trials to take place without a major disruption to its production schedule. In order to overcome the challenge of wax testing without interrupting production, MPI was contacted. Wax manufacturers Westech and Paramelt agreed to work with Lamothermic and MPI to test different waxes at various price points. MPI and Lamothermic developed a test procedure in conjunction with Paramelt and Westech. Over the course of a couple days, MPI ran test waxes, patterns and built test assemblies to be put through the autoclave for evaluation. This collaborative effort would never have been accomplished without the benefit and assistance of the MPI Technology Center. Because the wax trials were performed at the Technology Center using MPI equipment, it did not create any of the operational challenges that Lamothermic would normally experience if the trials were performed at its foundry. Both the client and wax manufacturers were able to work collectively toward a common goal in an off-site production environment without distraction or loss of productivity. said Rich Kilpatrick, market development manager for Paramelt. MPI is the worldwide leader and innovator of wax-room equipment featuring a broad range of wax injection machines that generate higher casting yields with increased productivity and throughput. As the acknowledged leader in wax-room innovations, MPI has developed and introduced more systems and products than all of its competition combined. In addition to producing industry leading wax injection systems, MPI offers total wax-room automation, from wax injection to wax assembly using integrated robotics technology. Automation also allows MPI to cost effectively provide pattern and assembly services which can be shipped directly to its customers. All MPI equipment is backed by a world-class customer service team featuring their Global Support Services program.